Total length = 200mm, 50mm at the top is for fitting 28.6mm ahead stem, of the remaining length 130mm can go inside your head-tube, the min insert mark is 80mm from the bottom. 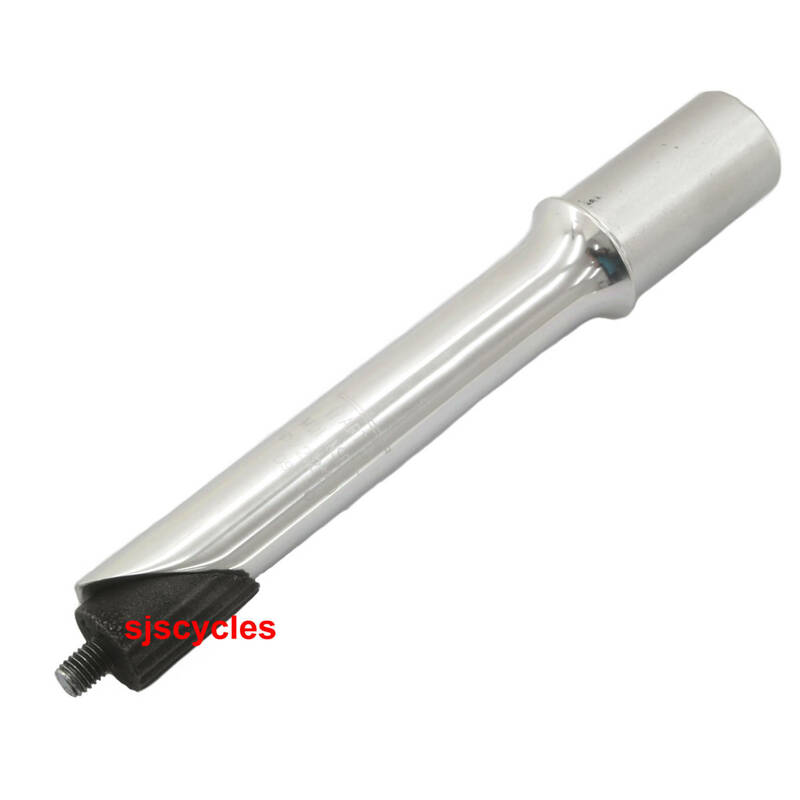 Note: This is for a 1" (25.4mm) fork with a 22.2mm internal diameter. Top Quality Piece Of Kit. Far superior to others I have used. Nice flanged seat for stem mount. No need for spacers, & a polished finish. Well thought out & a lovely bit of kit. Used to adapt oversize 31.8 stem and bars to threaded 1inch headset. Looks and works well though had to refit and tighten after a few months to cure squeaks. Exactly what I was looking for with a reasonable quill length to raise the bars to suit my height which is 6' 4". Does this come with a cap, or does that have to be purchased separately? A top cap is included. or as means of using both a 1 inch quill stem or 1-1~8 stem? Basically doing a build of a track bike and would wish to know if...as traditionally the bike has always had a quill threaded headset,...could i then use a fork that has a 1inch steel threaded steerer with this adaptor together with a stem that is 1-1~8 clamp? This stem is designed to fit a 1inch threaded fork with a 1.1/8th stem. Can You Please Confirm This One Is An Alloy Part? This quill stem adapter is indeed made from and alloy and not made from steel.